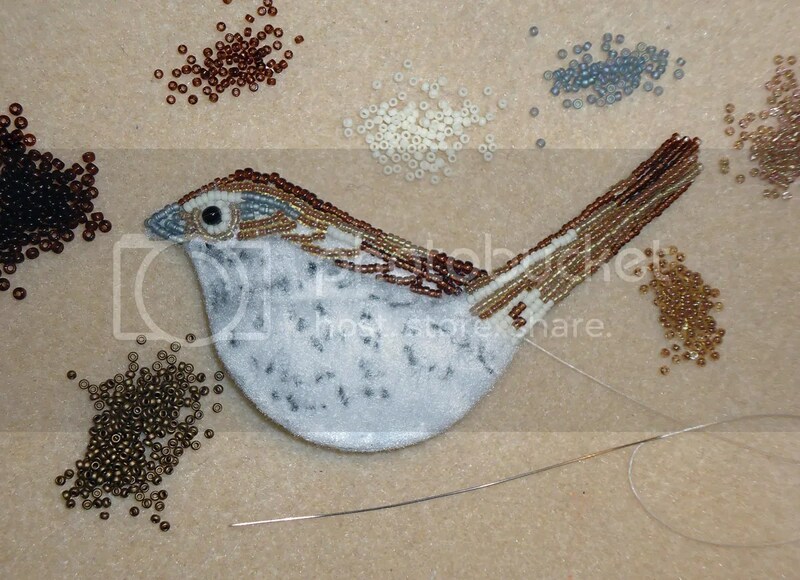 Today, I want to show you a new bird I started beading – a Song Sparrow! Today, just a quick announcement. I have submitted my beaded Great Blue Heron painting into the Cambridge Art Association’s 66th Annual Fall Salon. The Fall Salon is an unjuried art exhibition featuring artists working in all media. Many works will be available for sale. If you happen to be in Boston, Cambridge, or Harvard Square this month, please stop by and take a peek! 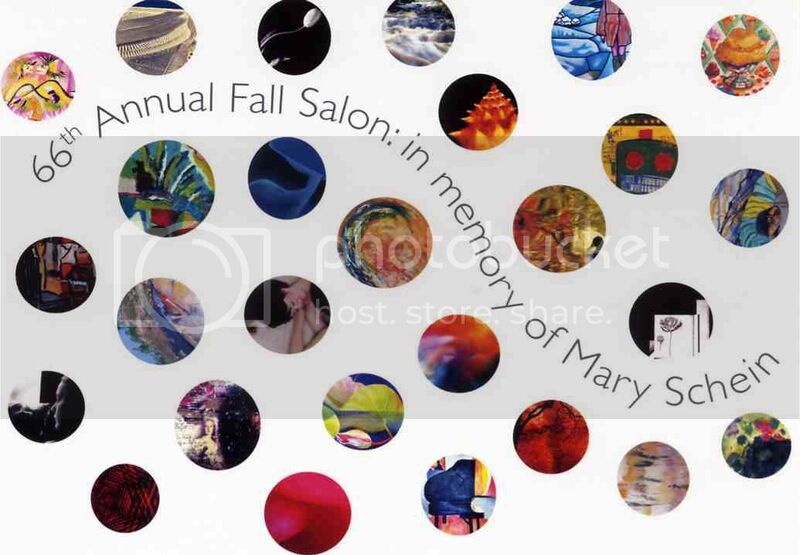 The Fall Salon runs Sept. 10- 30, 2010 and will be shown in both CAA galleries. Please see the CAA’s website for hours and directions. The evening will include musical entertainment as well by a live band and a DJ. This event is 21+ and is free to attend. 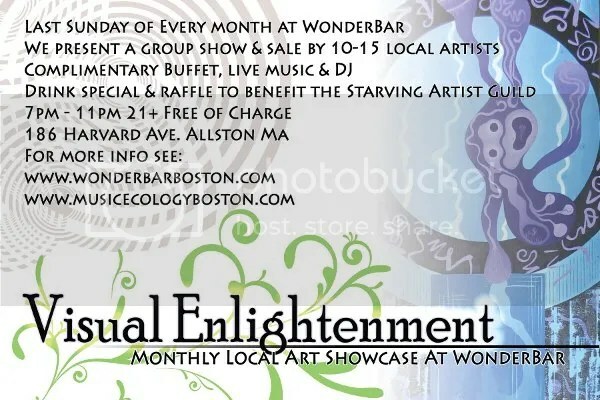 If you’re in the neighborhood, please stop by for dinner and drinks or just a quick stroll through to show your support for local art! Admission is FREE, so bring a friend or two. Hope to see you there! 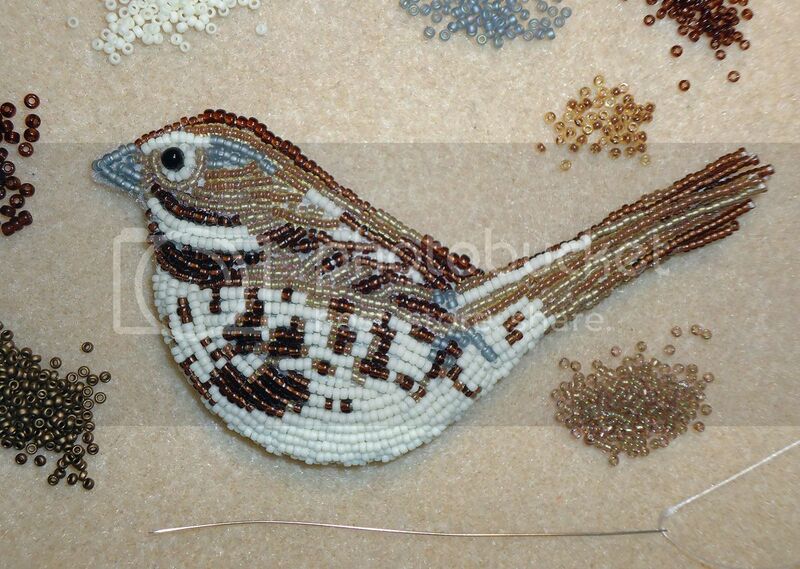 Since this bird is quite large in real life, my beaded bird is larger than usual as well. 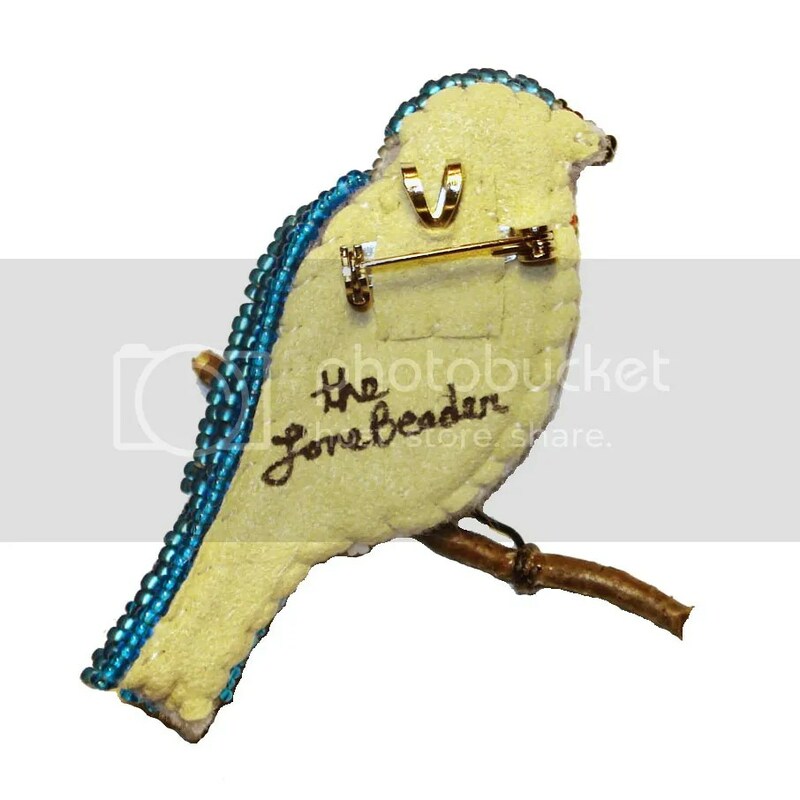 My beadwork measures 1.5″ wide x 3.75″ tall. 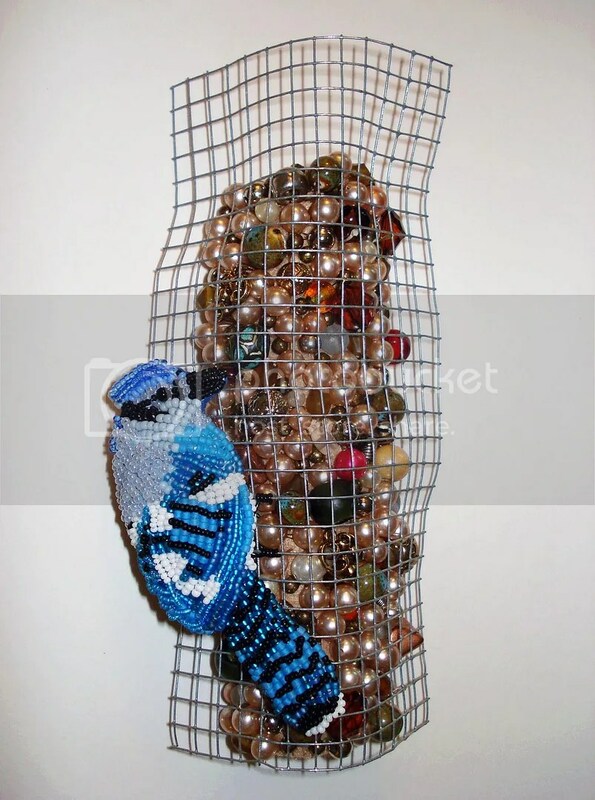 I have used mostly Czech size 11 seed beads in many shades of blue, white, & black. I will probably do a little more beadwork, but other than that, I’m not exactly sure how I will finish this piece. I think it’s the beginning of another beaded wildlife painting! 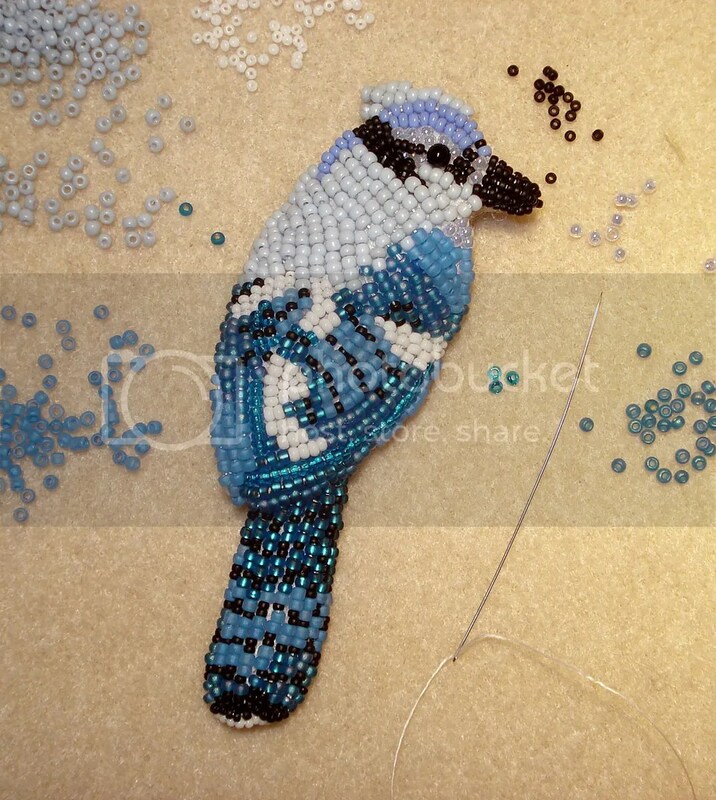 Besides working on my Blue Jay, I have been working on the Campanile for my beaded St. Mark’s Square painting. I listed a couple of new beading books in my Etsy shop, and I have also been gathering some details about a couple of upcoming local art events which I will blog about soon. In addition, I have a couple of ongoing projects happening. 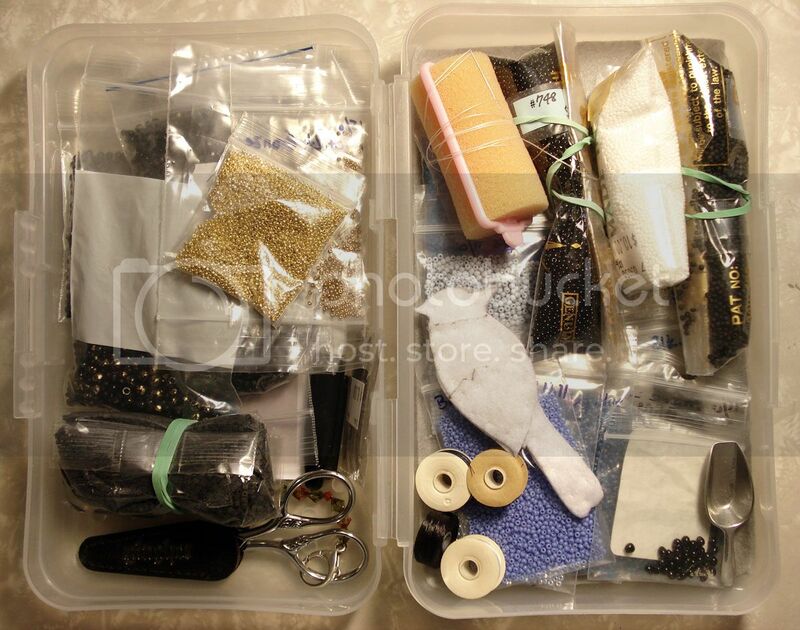 I am attempting to inventory my beadwork using Bento and since taking an Apple One to One class recently, I am now inspired to redesign my Official Website using iWeb! I guess that’s enough to keep anyone busy… What’s keeping you busy this week? I packed mostly black, blue, and white seed beads, as well as needles, thread, scissors, and felt into a small pencil box. 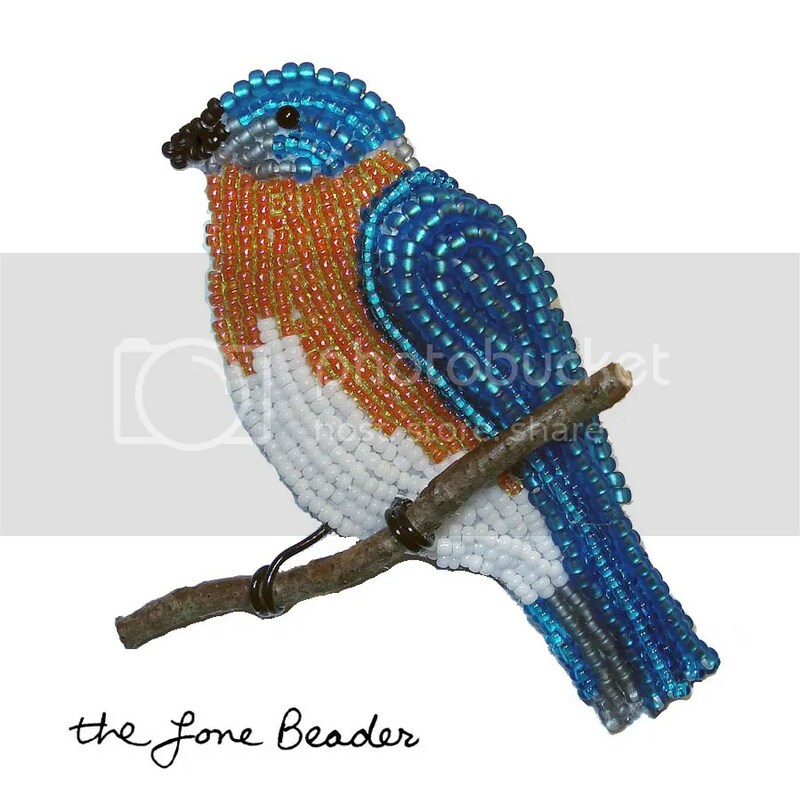 On the left side, there are beads to use for the Campanile in my beaded St. Mark’s Square painting, and on the right side, there are beads to make a new beaded bird for my Etsy shop! (Can you tell what kind of bird it is?) I figure this should be enough to keep me busy on nights I suffer from insomnia! 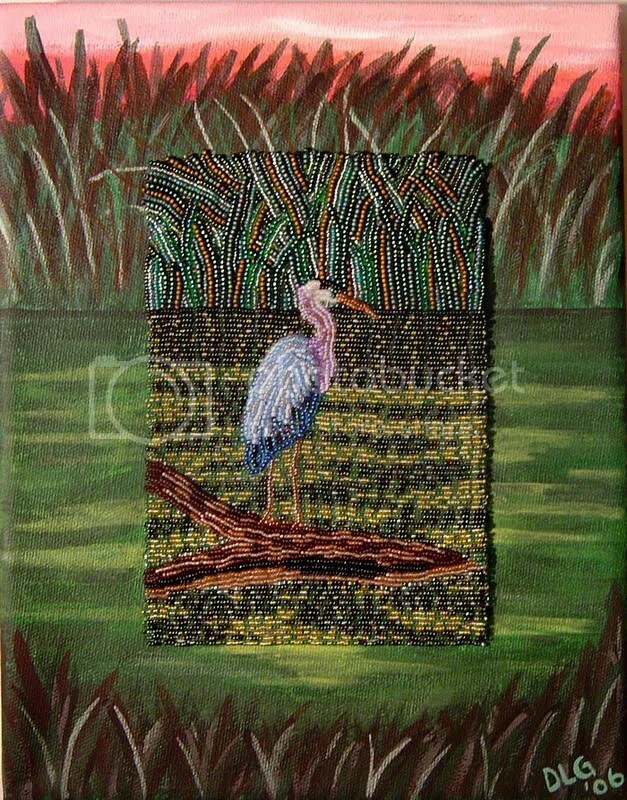 >New Beaded Flamingos on Zazzle!